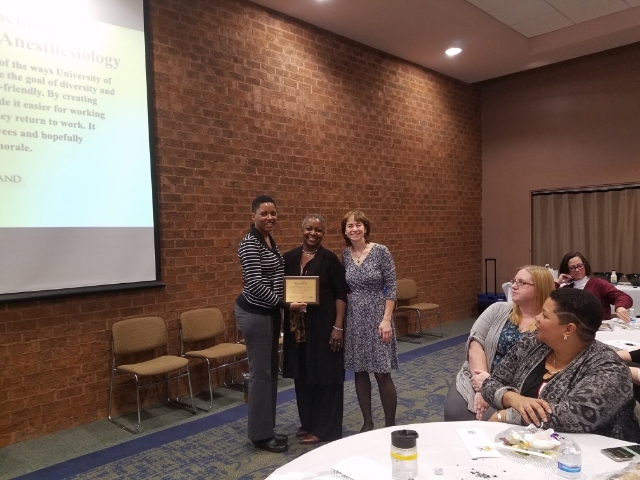 Gold Level Workplace Award Being a desirable place for working mothers is one of the ways University of Maryland Department of Anesthesiology can achieve the goal of diversity and demonstrate their commitment to being family-friendly. 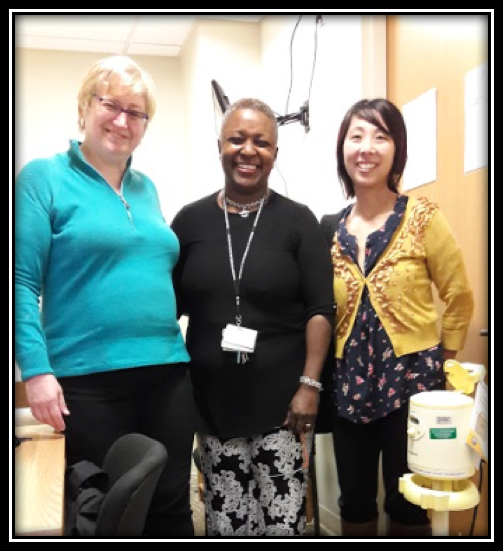 By creating lactation spaces in the department, they have made it easier for working mothers to meet their breastfeeding goals as they return to work. It has increased the satisfaction of the employees and hopefully helped improve and maintain morale. The department made me feel very welcome in my return to work as a nursing mom. I received a breastfeeding gift bag from Ms. Denise Johnson which included pumping accessories as well as a magnetic picture frame to hold a picture of my little one. She also took the time to give me a tour of the lactation rooms. Thanks for all of this wonderful support! 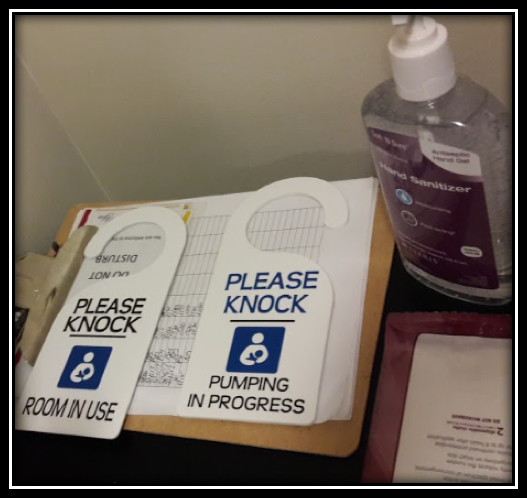 Returning to work while still nursing your child is stressful enough so to be given the comfort of knowing I have a safe and clean place to pump for my babies that is accessed only by nursing mothers is extremely relieving. 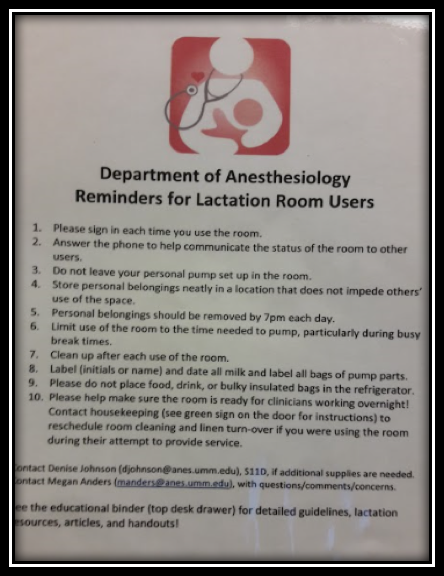 The entire staff that maintains our lactation room is always friendly and strives to keep the room stocked. 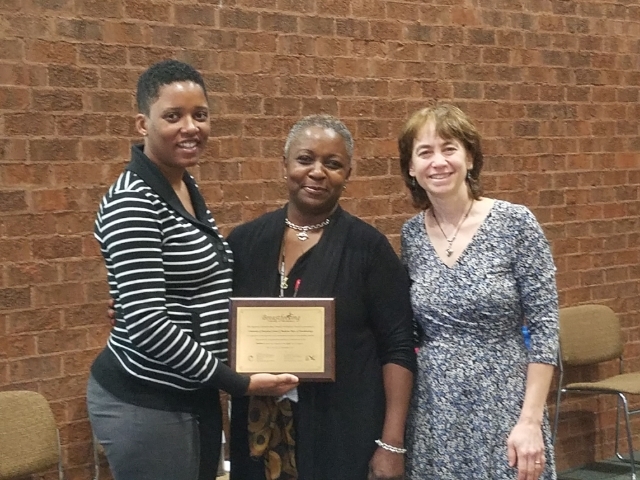 Supporting breastfeeding working mothers is paramount and I'm so glad our organization participates in that.